The Audit Commission’s report on the Environmental Protection Department’s management of Hong Kong’s waste casts serious doubt on the entire premise for the decision to build an incinerator on Shek Kwu Chau and three landfill expansions. The Environmental Protection Department missed targets, mangled statistics, mismanaged capital assets, underestimated costs, undertook trifling projects, and underperformed in a critical task year after year. Key performance indicators for waste management have all deteriorated. Per capita waste disposed daily increased from 1.27kg in 2011 to 1.35kg in 2014. Waste recovered and recycled dropped from 49 per cent in 2009 to 37 per cent in 2014. Food waste increased from 3,227 tonnes per day in 2004 to 3,648 tonnes in 2013. In particular, the data used to justify the incinerator and expanded landfills was shown by the commission to be seriously flawed. 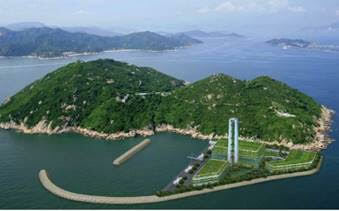 The department presented a picture of a fast-accumulating mountain of waste looming over Hong Kong. However, we learn now that the inclusion of imported recovered waste vastly inflated the amount of waste that was generated and recovered, exaggerating the need for more waste disposal facilities. Adding to the urgency, the department claimed that the capacity of the existing three landfills will be exhausted by 2018. However, as the commission noted, the department can produce no quantifiable data to explain its constantly changing assumptions about the serviceable life of the landfills. The commission believes that the landfills have a lifetime beyond 2018. A simple calculation based on the department’s record of the utilisation of the three landfills since their inception in 1995 shows that their capacity will not be exhausted until around 2022. The planned and funded expansion of those landfills will add another 20 years of waste disposal capacity. During this week’s hearing by Legco’s Public Accounts Committee, legislators were sharply critical of the department’s errors in crucial data, noting Legco had approved the incinerator and landfill expansion based on wrong information. Given the capacity of the landfills currently available and to be available in the next 27 years, why does the department want to spend HK$19 billion in taxpayer money to build the incinerator? Who does it benefit? The obvious beneficiaries are the consultants engaged by the department, the companies who will do the reclamation and build the infrastructure on Shek Kwu Chau, and the vendor who will operate the incinerator. The incinerator project should stop, pending a full audit and thorough review. The Court of Final Appeal on November 26 will hear arguments on whether the director of the Environmental Protection Department can approve an environmental impact assessment report on an incinerator project that the department itself conducted. And having approved its own report, whether it can then issue to itself the permit for incinerator construction. Should a government department regulate itself – proposing, evaluating and approving a project? A simple analogy: should you be allowed to set your own exam question, mark your own exam paper, and give yourself a passing grade? Regardless of the court’s decision, the debate over the incinerator has exposed the deep flaws in government self-regulation. The department, negating its regulatory role, became chief lobbyist for the incinerator. Its officials, in their zeal to promote the project, presented selective, misleading and outright false information on numerous occasions. To justify locating the incinerator in Shek Kwu Chau island, the department claimed that building it in Tuen Mun, a far more cost-effective site, would unacceptably worsen the air quality there, contradicting its own report. Its officials misrepresented the incinerator’s cost in legislative hearings. Their incinerator obsession blinded them to the waste-management policy of countries where waste recovery and recycling are as important as incineration. They visited Germany, Sweden, Denmark and Britain, which have such successful programmes, yet they reported no lessons learned on waste recovery and recycling, only incineration. The department claims it conducted 120 consultations, yet the specifics of the project remained identical throughout the six years of “public consultation”. The pitfalls of government self-regulation were raised by Christine Loh Kung-wai in 1997 when she was a legislator. At the second reading of the Environmental Impact Assessment Ordinance, she expressed concern “about the difficult task of self-regulation that the bill imposes on the administration”, given that in many important projects, “the project proponent sitting across the table from the director of the Environmental Protection Department will be another senior government officer representing some other aspect of the public interest”. “We know there will be internal conflicts within the administration over how stringently to apply the bill in such cases,” she said then. What does Ms Loh, currently undersecretary of the environment, think of the case at the Court of Final Appeal now? BEIJING (Reuters) – Hundreds of protesters rioted in southern China after weekend demonstrations against a project to build a trash incinerator turned violent, with city government officials saying they had to detain 11 people to restore order. Decades of breakneck economic growth have led to severe environmental damage in many parts of China, where choking smog often angers increasingly educated and affluent city-dwellers. Protesters said the demonstrations, which began on Saturday in Yangchun, a city with a population of about a million located in the manufacturing powerhouse of Guangdong, drew hundreds of people agitated over the risk of pollution from the project. “How will we survive breathing in noxious smoke?” an employee of a small Internet firm told Reuters by telephone on Tuesday. “Yesterday night, the police have already beaten a lot of people, and arrested more,” added the woman, who gave only her surname, Mo, for fear of reprisals from the authorities. Photographs posted online, some on the website of the official Xinhua news agency, showed protesters pinning a police officer to the ground, and flames engulfing an overturned car. Three vehicles were damaged, the government said. In an online statement on Sunday, the city government said 11 lawbreakers had been detained, but no one was injured. Police could not be reached for comment. Tension persisted on Tuesday, with protesters saying hundreds of people were still gathered near the gates of a cement plant that is cooperating with the trash incinerator project. Every year, China experiences tens of thousands of “mass incidents”, the usual euphemism for protests, triggered by grievances over corruption, pollution and illegal land grabs. The events are unnerving to the ruling Communist Party, which is obsessed with the need to maintain stability. A rash of health scares and accidents has also fueled public scepticism about the safety of industries ranging from food to energy.